The 2-Layer Foley Catheter was designed to lead clinicians through the insertion process while reducing the chances of bacterial introduction. This closed system is manufactures with the maximum amount of silicone coating available. The latex catheter is coated internally and externally to resist encrustation and bacterial colonization.The sealed junction reduces the chance of bacterial introduction and secures the Foley catheter to the drainage tubing. The urine bag drainage port has a slide-tap valve with a see through drain tube. Each of the sterile Foley trays contains: compartmentalized prep tray, wrapped Aloetouch 3G gloves, 3 pre-saturated PVP swabsticks, moisture-proof underpad, fenestrated drape, 10ml sterile water syringe, water soluble lube jelly, specimen container with ID label, CSR wrap, and a Silicone-Elastomer coated latex Foley catheter pre-connected to a 400 ml urine meter and 2500 ml drain bag. Available in 16 Fr or 18 Fr (both 10 ml) sizes. 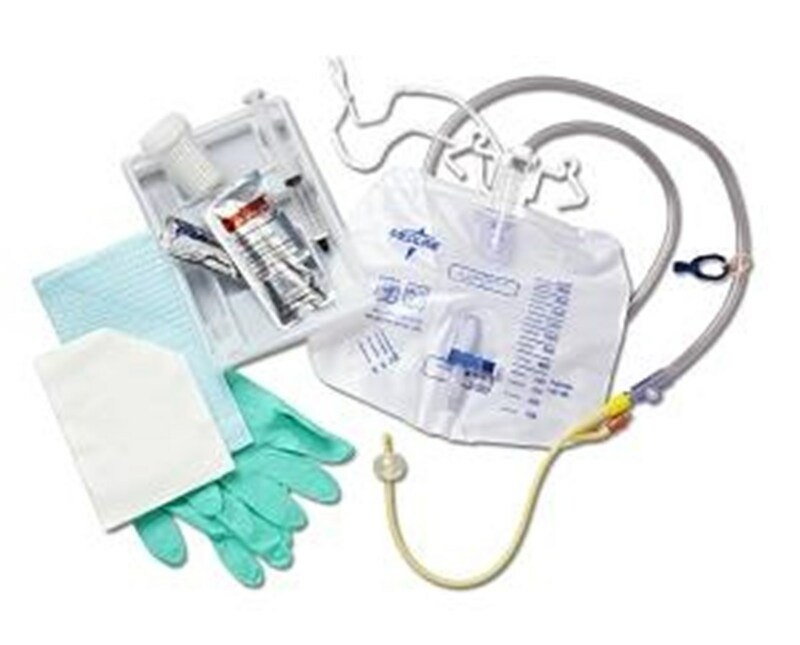 Silicone-elastomer coated latex trays feature a latex Foley catheter pre-connected to a drainage bag or urine meter. 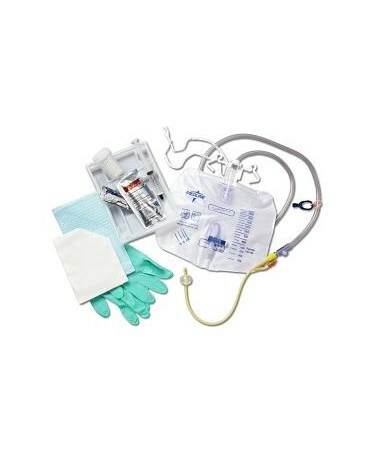 All necessary components for proper Foley catheter insertion are included. Available in 16 Fr or 18 Fr (both 10 ml) sizes.